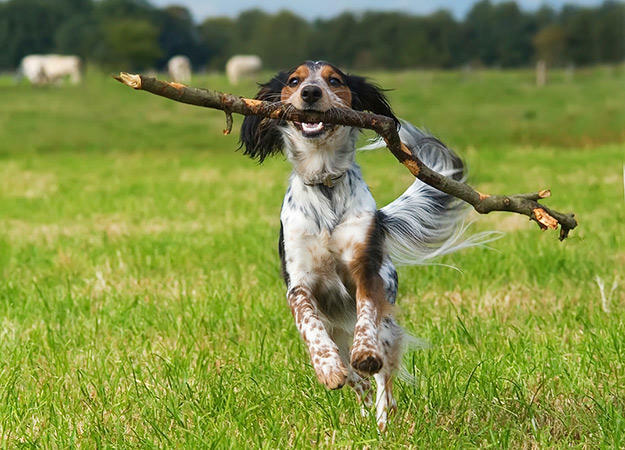 A simple game of fetch can be all that is needed for your dog's daily exercise fix. Fetch is easy to squeeze into busy schedules, as there is no need to travel far to fit in a game. A close-by park or backyard works great and on rainy days, fetch can be an indoor sport, played from the comfort of your couch.